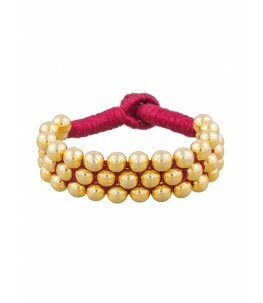 Bajuband or Armlet (also known as Armbands), it is a type of bracelet worn on the upper part of the arm. Worn by warriors and dancers alike, the Indian armband in traditional designs has been an integral part of India’s history. 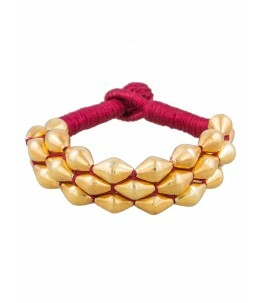 Modern armbands or armlets have gone through various changes to suit modern sensibilities. While some bajubands are delicate and made out of delicately engraved silver, some are threaded with different silver beads or other embellishments. Silver arm cuffs are one such piece of jewellery that gets its inspiration from royalty and continues to have a regal quality generations later. Handcrafted jewellery, are slowly emerging back in the limelight with more focus on 925 Sterling Silver Jewellery. All Ahilya armbands are made with Sterling Silver that may be gold or rose gold plated. We love oxidized pieces which are consistent in all our traditional designs. Each piece is individually Hallmarked with a BIS-Hallmarking certificate guaranteeing 92.5 % silver. Ahilya draws inspiration from the rich Indian Jewellery heritage. Every region has distinctive designs and Ahilya is a synthesis of that heritage with contemporary styles. Our armbands are a reflection of just that. 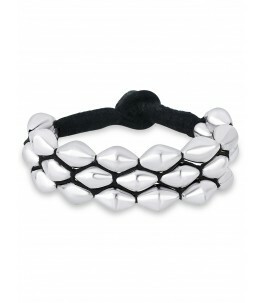 Our Silver Bead Dholki baajubands are exceptionally versatile and easy to style. Our beaded armbands are made differently though. Instead of being strung together, beautifully shaped beads - round silver beads, dholki beads – are sown together on a thick black cord with a cord fastening, giving the ethnic looking beads a contemporary twist. Worn on your upper arm these silver beaded armbands look regal and exquisite and are truly for the brave hearted. Silver bracelets as armbands - Women’s bracelets have always been worn as just that, but we believe that jewellery must be experimented with! 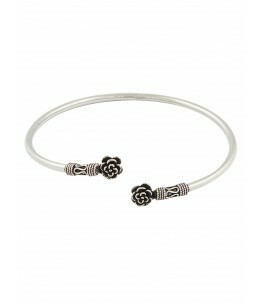 Wear our silver bracelets as armbands, and be a trend setter in your own right. 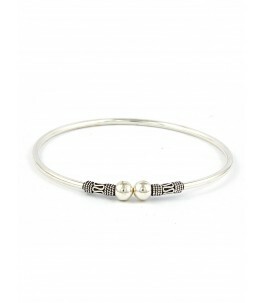 Shop the latest silver baajuband designs online, exclusively at Ahilya!